“BIG TIME” documentary stars Bjarke Ingels. 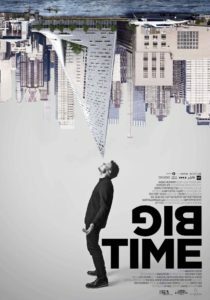 BIG TIME, directed by Kaspar Astrup Schröder, is an inspirational documentary film that captures influential architect Bjarke Ingles through his journey of changing our built environment by designing never-before-seen building concepts. He’s solving some of the most significant problems in new ways with his fast-growing architecture firm BIG (Bjarke Ingels Group). 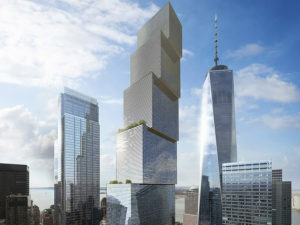 Current design by BIG company for World Trade Center 2. For certain, this is not your typical “talking heads” documentary style, but rather a “fly on the wall” approach in which viewers are immersed in an architect’s personal life and work. Yep, the prize at the end of the day is that bright shiny new building that changes the landscape of a city—but what about the battles that are fought along the way? What about the pressures of making sure the plans work? Mountain Dwelling Project Copenhagen, Denmark. Last night’s 60 Minutes television newscast featured a building that is having major structural problems. In San Francisco’s hyper-speed race to build new buildings due to the tech boom, the posh 58-story Millennium Tower built in 2009 is actually sinking—17 inches and leaning 14 inches to the northwest. And who does everyone typically blame first—let the finger-pointing and the lawsuits begin—straight back to the architect? Schröder spent six-plus years following and filming Bjarke, and it shows. 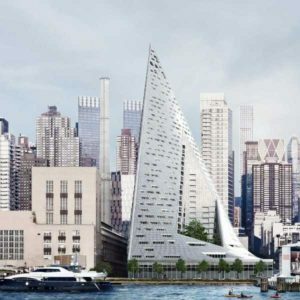 You feel the progression of time and are able to have a different sense of empathy for Bjarke with this time-span as opposed to just seeing one snapshot. We get to see him pack up his things and move from Denmark to New York City to work on building the One World Trade Center and this is all happening while he’s still under the age of 40. The Director of “BIG TIME” Kaspar Astrup Schröder. BIG won the bid to build the M/S Maritime Museum of Denmark by thinking “outside the box” or “dock,” in this case. 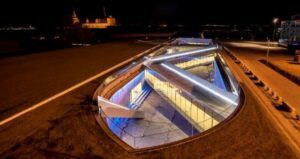 The challenge was building the museum in an existing dock that was once used to build ships and in a manner that didn’t obstruct the views of a historical castle. “We basically came up with this idea that instead of filling the dock with the museum, we would actually put the entire museum around the dock underground — looking into the dock—so the museum becomes a gigantic courtyard. The architecture becomes this radical act of preservation and reinterpretation,” notes Bjarke in the film. Mixed into the journey, we see a few of BIG’s ongoing projects, such as the Amagerforbraending Energy Plant in Copenhagen, Denmark, where Bjarke asks, “How could we completely change people’s understanding of what a power plant is?” Challenging convention, his firm turned a power plant into a renewable energy technology masterpiece that is part art project and part ski slope by using the roof space of the structure—one of BIG’s signature design moves. 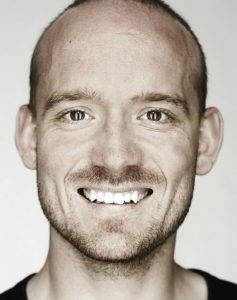 The film progresses through watching Bjarke in his element, bouncing from project to project, working with his team, dreaming about changing the world, battling some not-so-easy moments, and spending time with his fiancé, Spanish architect Ruth Otero— all while the film manages to capture his explosive passion and creativity towards architecture. Bjarke Ingels drawing and explaining a building concept. What I appreciated about the film was that it is not a typical “architecture documentary” that progresses building-by-building, explaining how amazing each one is. Instead, this film focuses on all facets of Bjarke, the persona, at the height of his career. The film tells of the grit, creativity, and challenge we all experience in our careers, but for Bjarke, those elements are heightened. We see firsthand what’s it’s like being pulled in a million directions and the consequences of fragmented attention due to the insurmountable responsibilities that come with growth and success fueled by a hunger for virtuosity. It’s unforgiving, hiding no negative emotions, scary headaches, or awkward conversations. 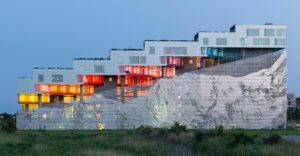 This approach to create some vulnerability in Bjarke and even in the career of architecture itself is unique and authentic. I heard that forty-year-olds run the world, and for Bjarke Ingels, #thisisforty and we can share in his personal space and I am grateful for that and this story BIG time. Bottom line: If you appreciate artists, you’ll appreciate this film – go watch it. His work speaks for itself. He’s bringing people together through common courtyards and through rooftops that are designed for actual downhill skiing. He remembers history in new and innovative ways, as in designing the 2nd World Trade Center with aspects of both Manhattan and the Tribeca neighborhood. I thought this approach to humanize Bjarke and even the career of architecture itself was unique and beautiful.